The groove starts with a VIP all access backstage party pass. Invitations were inserted into lanyards and then packaged up with confetti and coordinating address labels. 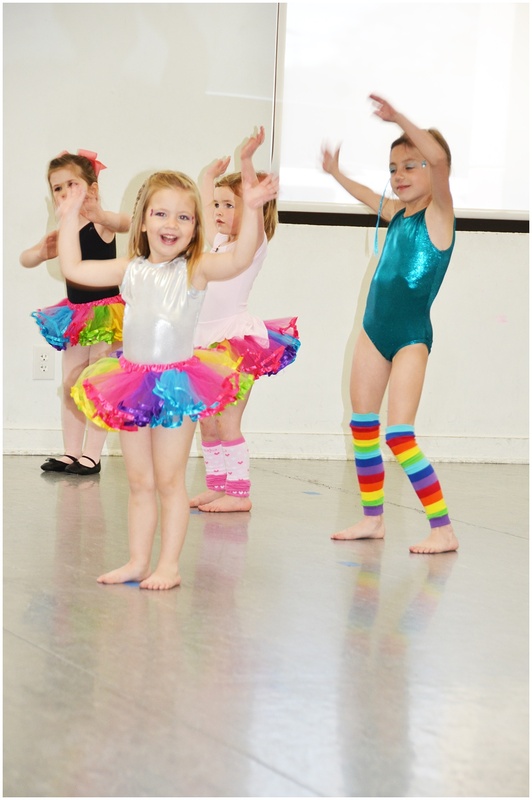 As each little lady arrived for the event, they were greeted with a colorful tutu and an opportunity to visit the Popstar Bar for their stage makeup and costume accessories. They rehearsed and performed a variety of artistic dance techniques, some led by the talented master dance instructor (and woman with endless patience) Ms. Leigh from Tarrytown Dance. And, well, some completely self led. (Let’s review, Beyonce wasn’t built in a day.) Nonetheless, these dancing queens put on quite a powerful production and seemed to have fun all the while.